Please see Shop News for current news of the shop. 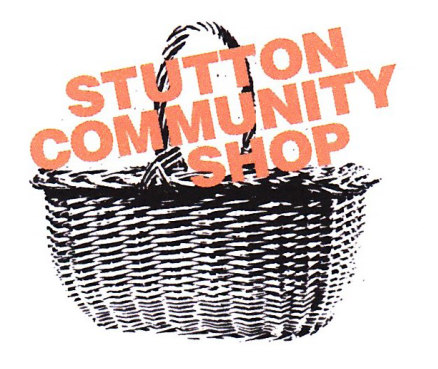 Our Community Shop in Stutton is thriving, successful, and run entirely by volunteers. Having spent nine very successful years in a portacabin, we have now moved into our wonderful new building. This gives us more space to stock more products and also means we have room for a Community Cafe. We are really proud of what we have achieved. We received a grant from Power to Change and also from Babergh District Council but we also raised a significant proportion of the costs from our local community. We moved into the new shop in the week between Christmas and New Year and our opening on Tuesday 2nd January marks this next stage in our village’s achievement. We continue to offer not just a comprehensive range of household items and staple foods, bread, milk, newspapers and fruit and vegetables, but also an increasing selection of local produce. This includes donated seasonal produce from village gardens as well as home-made jams and chutneys, cakes, biscuits and scones, and locally sourced pies and quiches. Wholefoods, frozen foods, bird seed and pet foods, ice creams, stamps, greetings cards, soft drinks and much else is on offer. We now have a Community Cafe (which will soon include an attractive outside seating area). Come and enjoy tea, coffee or hot chocolate and choose from a range of home-made cakes. We also offer sandwiches. The patio was the last part of our project to be completed and is a really attractive and appreciated facility. Our many volunteers buy in the stock, deal with suppliers and serve the customers. There is always room for more volunteer helpers and it is a great way to meet new people, renew friendships, and make new ones whilst helping the shop continue as a friendly centre for everyone. The management committee meet once a month to consider policy and deal with any problems that may arise. Currently, the committee comprises two directors, Cavan Browne and Jenny Morris, together with Sue Hewlett, Ruth Kelmsley, Jane Pavitt, and Jan Brown. Have you thought about volunteering to help out in the shop? Do call in – our volunteers will be happy to chat to you about what is involved. Or contact us via the website on the link here and we can let you know more. Please also use the same link to give us any feedback or make suggestions as to what you would like us to stock. We are always happy to respond to requests.